Is my business eligible to use the free* disposal service? located in King County (this includes all cities and unincorporated areas – as well as all of Bothell, Pacific, Auburn, and Algona. a Small Quantity Generator (SQG). What is a Small Quantity Generator SQG? produces less than 220 pounds (about 25 gallons) of hazardous waste per month. produces less than 2.2 pounds (about a quart) of acutely hazardous waste** per month. stores less than 2, 200 pounds (about four 55 gallon drums) of hazardous waste. How often can your business use this free service? Your business can visit a maximum of four times a year. Call (206) 263-8899 if you are not sure if you qualify. Can you hire a hauler to take my wastes to the facility? Yes, you may use a hauler. But we prefer that the business owner/manager or a company employee bring the waste themselves. No more than 25 gallons (max 220 pounds) of hazardous waste per visit. Containers must be 5 gallons or less and weigh less than 60 pounds each. All containers regardless of contents are counted as full. Call 206-263-8899 if you have more than these limits. We reserve the right to refuse any waste at our facilities. download the PDF form, print 2 completed, signed copies and bring them to a disposal facility with your hazardous waste. Laboratory chemicals MUST be approved by Program staff before you bring them to a facility for disposal. 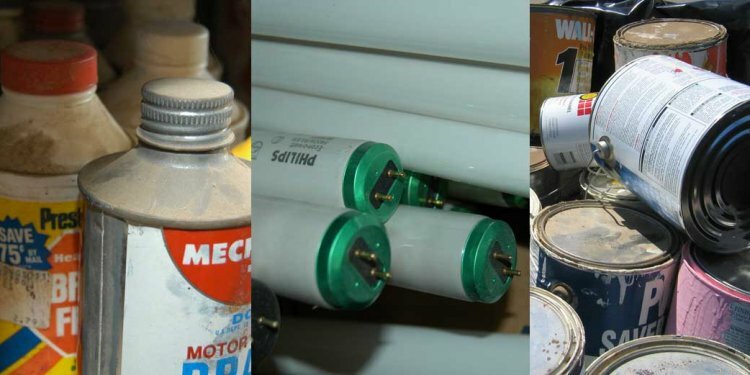 Do you have unwanted but still useful hazardous products? ** Laboratories, medical facilities, pest control operators and other businesses that work with highly toxic or reactive chemicals (called "acutely hazardous wastes") may produce wastes with a monthly SQG limit of 2.2 pounds. Call the business waste line (206-263-8899) for help or check the "P" list of discarded chemical products.